Yverdon-les-Bains, 11 December 2017 – Swiss Fintech leader NetGuardians has joined forces with Masaref Business & Systems Consulting, who will provide on-the-ground support for business development in the Middle East. 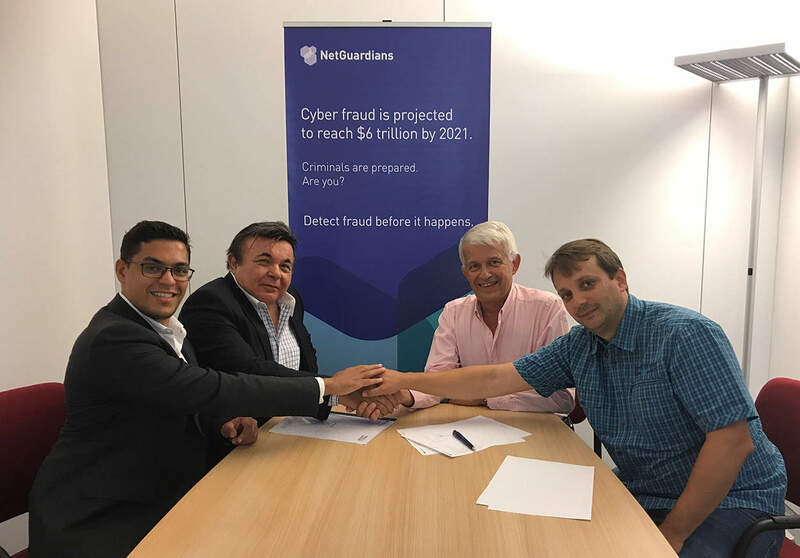 This partnership will give financial institutions enhanced access to NetGuardians’ unique anti-fraud technology and first-class fraud prevention services. With solid experience in the Middle East and North Africa, Masaref is highly regarded and trusted for their implementation of T24 core banking systems and added-value services. As a Temenos complementary solution provider for fraud prevention, NetGuardians brings solutions that fit in perfectly with Masaref’s mandate. NetGuardians is recognized for their innovative enterprise risk platform to prevent banking fraud and digitize compliance. The solution uses a patented Big Data model to correlate and analyze behaviors across the entire bank system, and applies advanced analytics capabilities to predefined out-of-the-box controls. “Fraud is a growing concern worldwide and the Middle East is no exception,” says NetGuardians Director & Board Member Olivier Trancart. “So we think that NetGuardians’ expertise can really make a positive impact. Working with a local partner with Masaref’s strong reputation will help grow the client base in a highly effective and efficient manner.” NetGuardians’ current clients in the region include Alinma Bank, Aljazira Capital and the National Bank of Kuwait. NetGuardians is a leading Fintech company recognized for its unique approach to fraud and risk assurance solutions. Their software leverages Big Data to correlate and analyze behaviors across the entire bank system – not just at the transaction level. Predefined controls enable banks to target specific anti-fraud or regulatory requirements. A controls update service ensures financial institutions benefit from ongoing protection in the face of the continually evolving risk challenges. Headquartered in Switzerland, the company has offices in Kenya, Singapore and Poland.